Edith Maxwell has become a regular finalist for the Agatha Awards for her fine mysteries featuring Quaker midwife Rose Carroll—both in the historical mystery category and for her short stories featuring the amateur sleuth. The next book in the series is already out—Turning the Tide, released in April—but here Maxwell looks at the opening to her previous book in the series, Called to Justice, a finalist for this year’s Agathas as well. 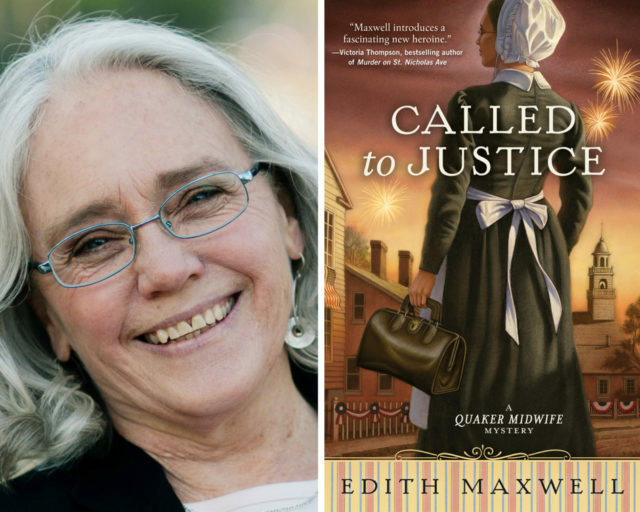 Beyond the Quaker Midwife Mysteries, Edith writes several other series and serves as president of Sisters in Crime New England. She also blogs extensively—at Wicked Cozy Authors, at Killer Characters, and at Under Cover of Midnight. Find out more at her website here.